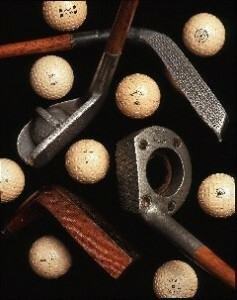 The Gary Wiren Golf Collection is certainly one of the finest private collections in the world. 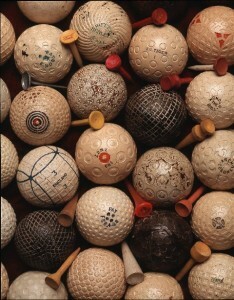 It has been featured on ESPN Sports television network; in the national Japanese golf magazine Choice described in the Golf Collector’s Society Bulletin; pictured in the coffee table book ”A Passion for Golf;” and highlighted on in-flight video news with United Air Lines and Singapore Airlines. It has been the subject of speeches to museum and collecting groups in a variety of geographical locations including a six month exhibit at The Cornell Museum in Delray Beach, FL. The collection attracts visitors from around the world. 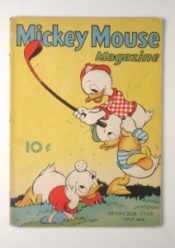 One of the features of the collection is its variety, which includes balls, books, comics, clubs, postcards, first-day covers, tees, magazines, art, catalogs, sheet music, ball molds, advertising, art, silver, statuary, medals and the largest golf stamp collection in the world. The presentation is unique and offers to even the non-golfer an interesting and memorable experience . Several items are one-of-a-kind, not seen anywhere else in the world. 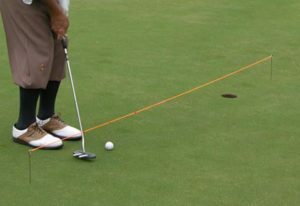 A very simple device to check your AIM, THE CLUBFACE, AND STROKE PATH…all very essential to becoming a consistent putter. Can be used on any green. 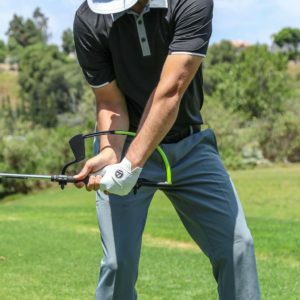 You can now practice in your home, office, range, or on the course with confidence theHANGER puts you in the correct position. theHANGER is for all skill levels helping create a repeatable swing. 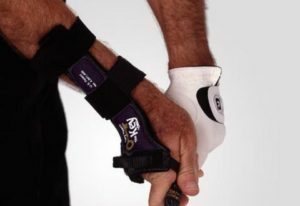 The key is like magic, because it trains the right hand to stay dorsi-flexed until IMPACT, allowing the left wrist to stay flat…a most desirable position. Check out the Gary Wiren Collection channel on Instagram!